Sometimes one overnight session just isn’t enough for that avid horse lover of yours. Don’t worry, we’ve got you covered! Horseback adventurers who attend two weekly summer camp sessions can stay with us in the bunk room on Saturday night at no extra charge. Overnight Campers arrive Sunday afternoon to get settled in. 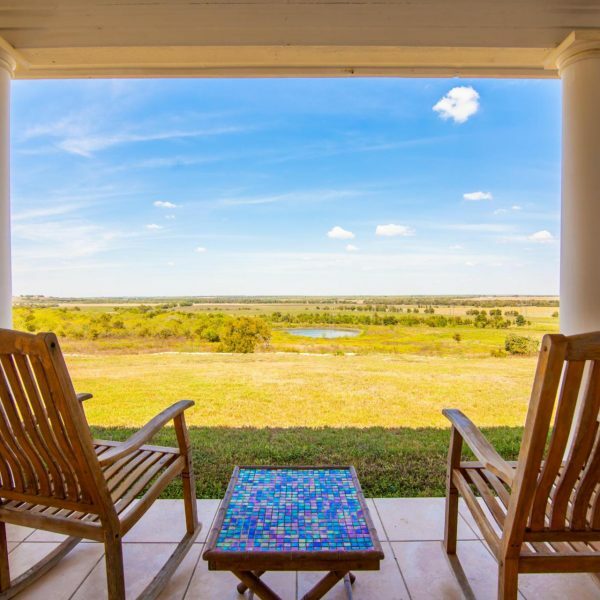 They can take a walk down to our gorgeous 1.5 acre pond and relax in a paddle boat, meet some of the horses, or just enjoy some rest and relaxation on the back porch of the ranch house with some cards or board games. From the porch, campers will get a glimpse of hundreds of acres of valley view. Take a look at the view from the porch, below! The back porch provides a stunning spot for parents to relax after dropping their kiddos off for summer camp. Spending time away from the tube, the phone, the internet and all the other commonalities of the modern world is liberating. We do not allow cell phones, and encourage parents to resist calling us to check in with their campers as this will actually often incite home sickness. Don’t worry though, we keep your campers so busy that they will have little time to worry about being homesick. More often than not, homesickness of the summer camper is more of a concern than a reality. In the case of extreme homesickness, we will schedule a time with you to speak with you child over the phone. Horse enthusiasts who stay with us for the week (or two) are going to get extra hands-on time with the horses, including calling them in for the day. Our horses buy arcoxia come running in from the valley in the morning, and it’s quite a site to see. In the event that one of our furry friends is feeling less than hungry, we may be required to saddle up a horse or two to go fetch them. Riding students love this (even if it’s not our favorite response to the trusty whistle), because it gives them the real feel for running the ranch. All the other odds and ends that pop up while managing a 100 Acre Dude Ranch also become part of the experience. Overnight campers get more one-one-one time because of our very small numbers (8 max), and more chance to get to know the critters we have around the ranch. One of the greatest moments an equestrian will enjoy in his or her life is that quiet feeling of simple solitude with the horse. In the moments that the hustle and bustle from the day is through, our overnight campers will delight in being able to find a beautiful space that is “theirs” to take “their” horse for some extra TLC. Quietly braiding their horses mane, it’s amazing the things the horse will hear! Children, and adults, will often take time to talk to their trusted friend about all types of things. They just need the time and space to do it. 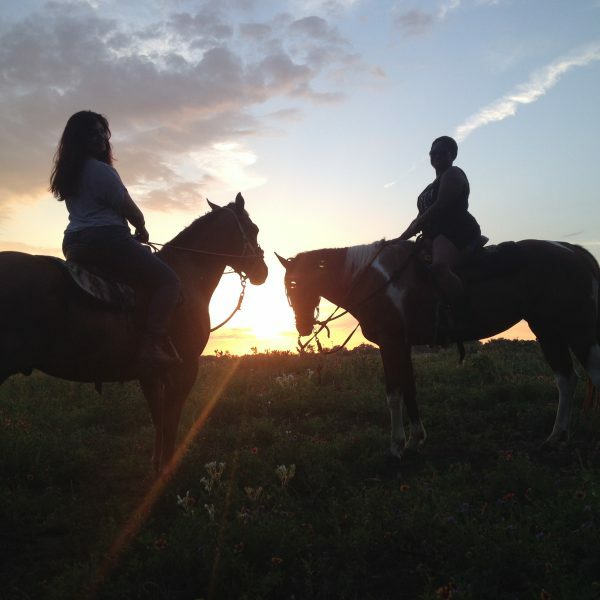 If you’re looking to create an unforgettable overnight horse camp experience for your son or daughter, please don’t hesitate to contact us to find out how we can help make your dreams come true.